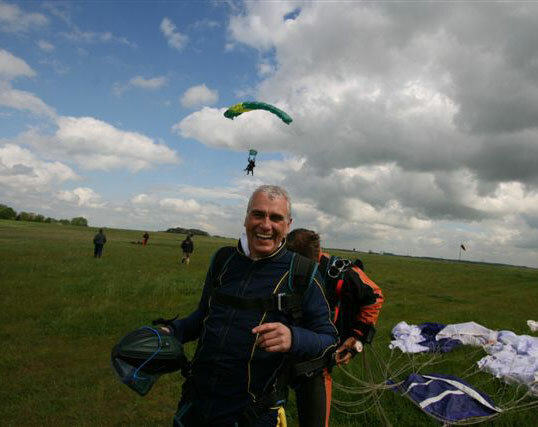 Ron Dobson, the London Fire Chief, jumped out of an aeroplane on 8th May 2011 in aid of Children of Fire. The brave Commissioner's sky dive went really well; he is pictured here safely back on the ground. Commissioner Dobson raised �1481 for Children of Fire: http://www.justgiving.com/rondobson and people can still contribute via his Just Giving site if they want to.